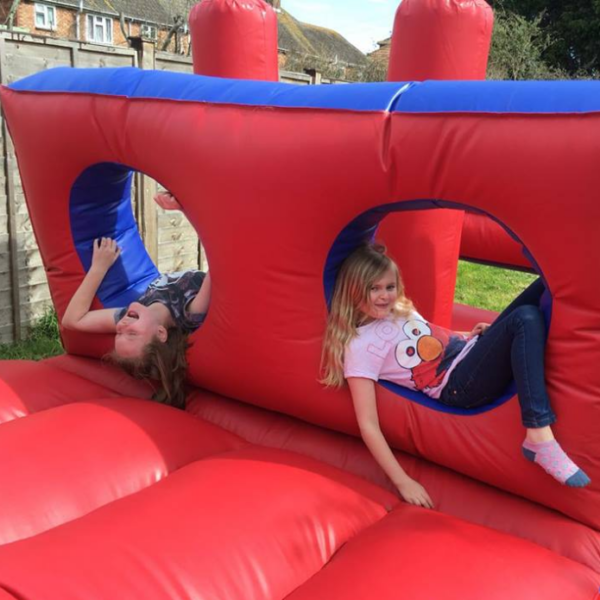 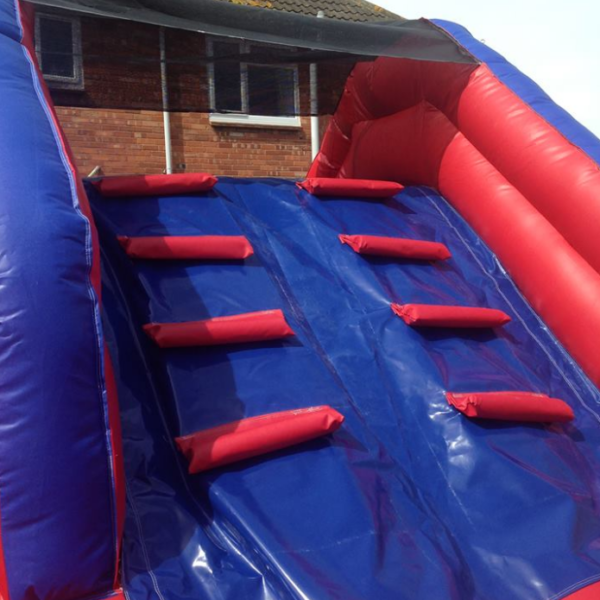 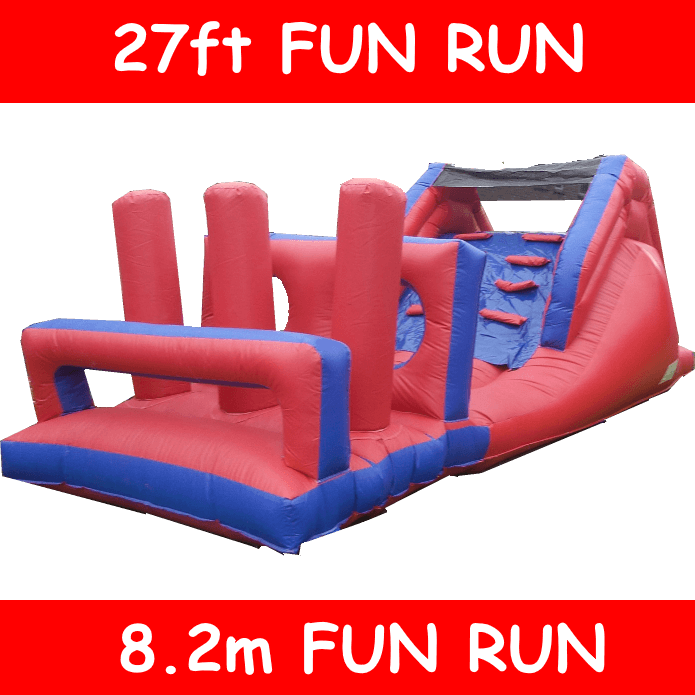 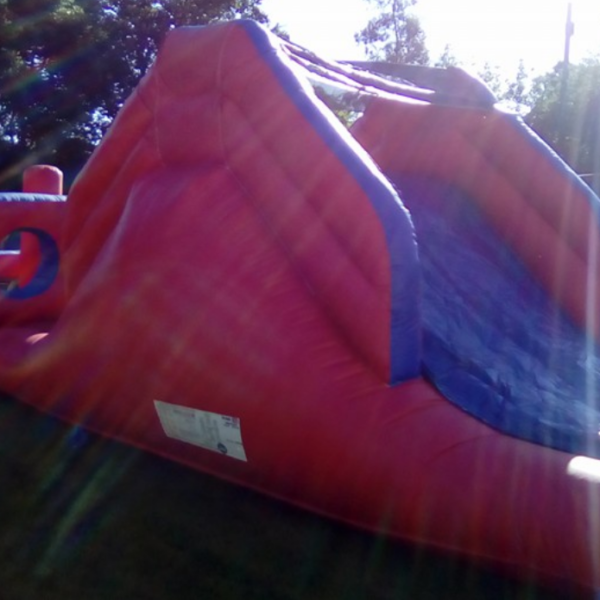 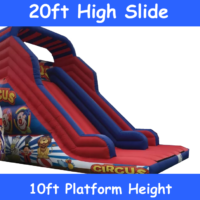 Our 27ft obstacle course / Fun Run is a great hire for children of all ages, suitable indoors or outdoors and complete with mats on all open areas, this is a great fun hire to keep everyone busy throughout your celebrations.. 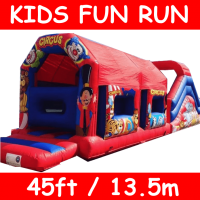 Allow 35ft by 8ft for sizing, this allows some space for mats and safe distance around the unit to avoid obstacles, potential accidents and collisions. 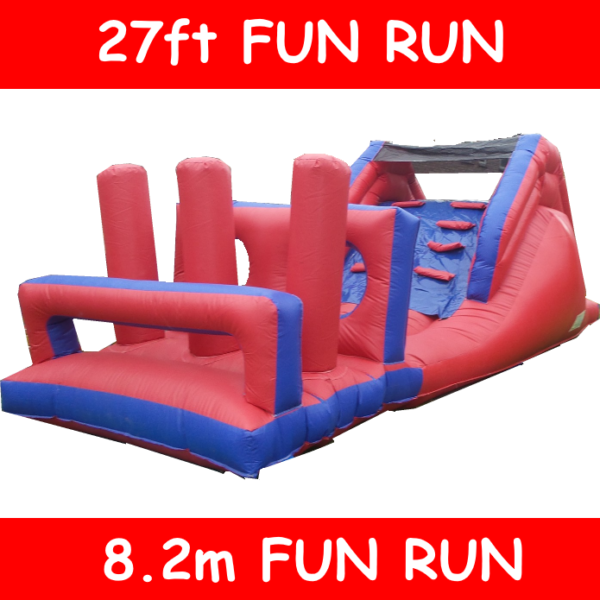 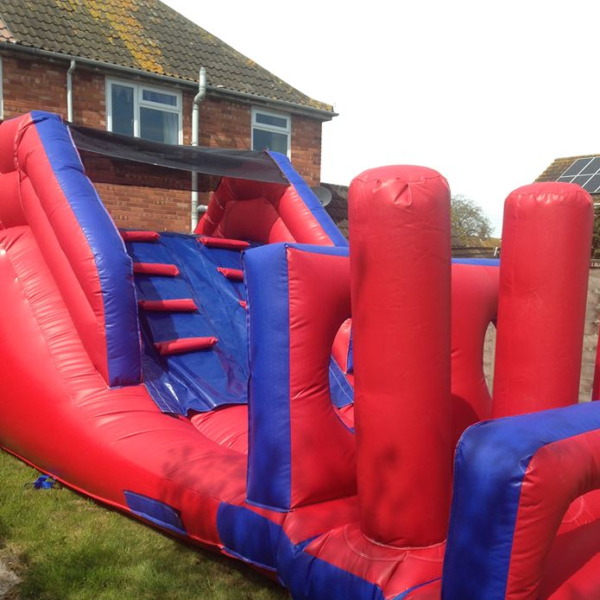 Our popular 27ft Obstacle Course Inflatable Assault Course Hire in Somerset is perfect for small or medium size events, with climbs, biff bash, roll through and slides this is a great inflatable and a very popular unit (booking far in advance is highly advised) – A great inflatable that, like us, wont let you down on the day! 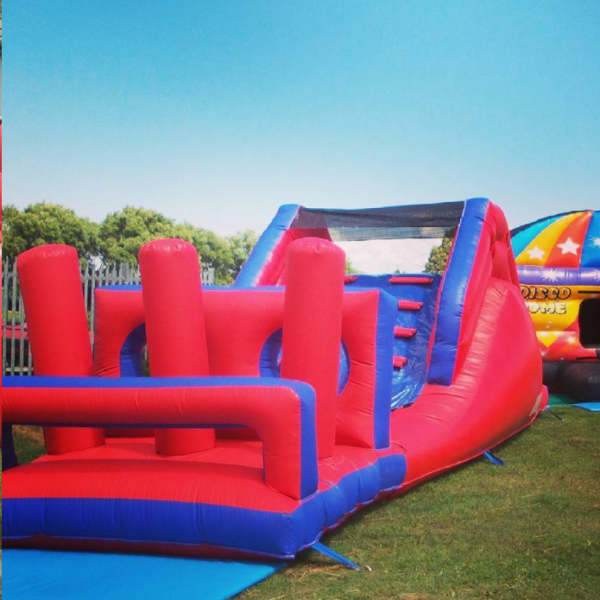 This amazing assault course is one of our top-hiring units, boasting steps and slide, as well as biff bash and climb throughs, this unit provides hours of fun for children of all ages, is great for smaller and medium size gatherings and events, and suitable for some gardens! 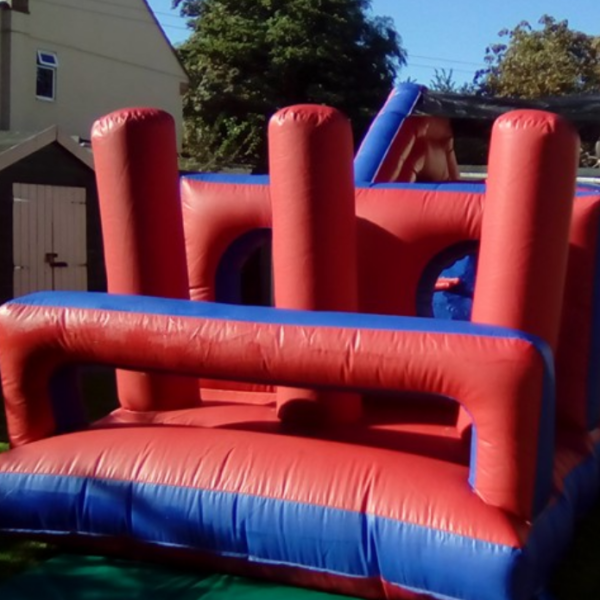 Set up of this unit takes around 20-30 minutes, and roughly the same time again for packing away, so please allow time for set up and packing away with your delivery times and bookings.